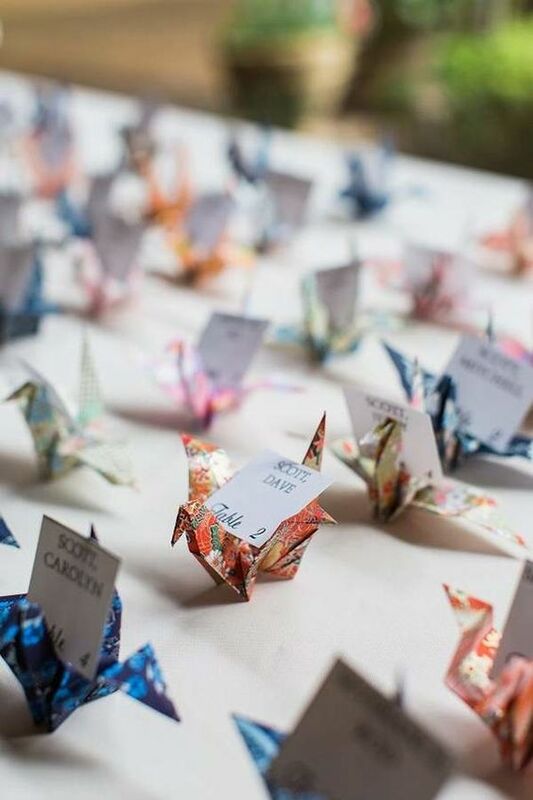 Origami is very popular for decorating weddings, and it’s not accidental. 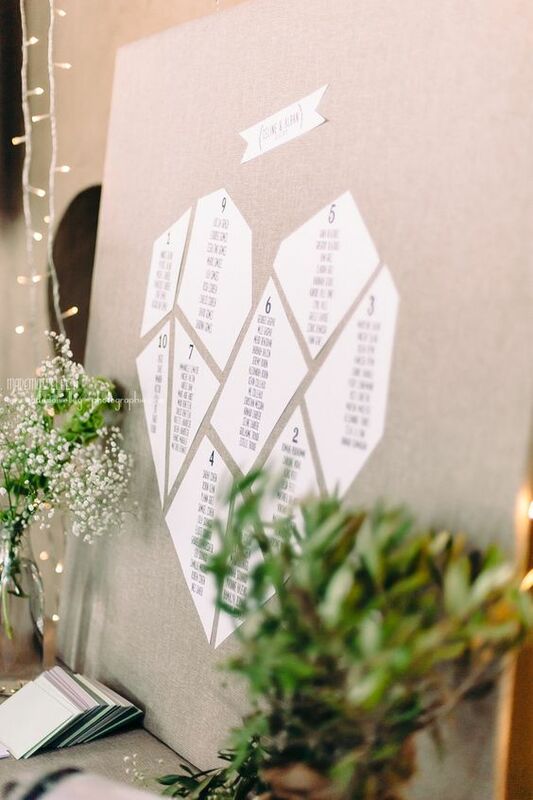 First of all, any kinds of geometry are super popular for wedding decor. 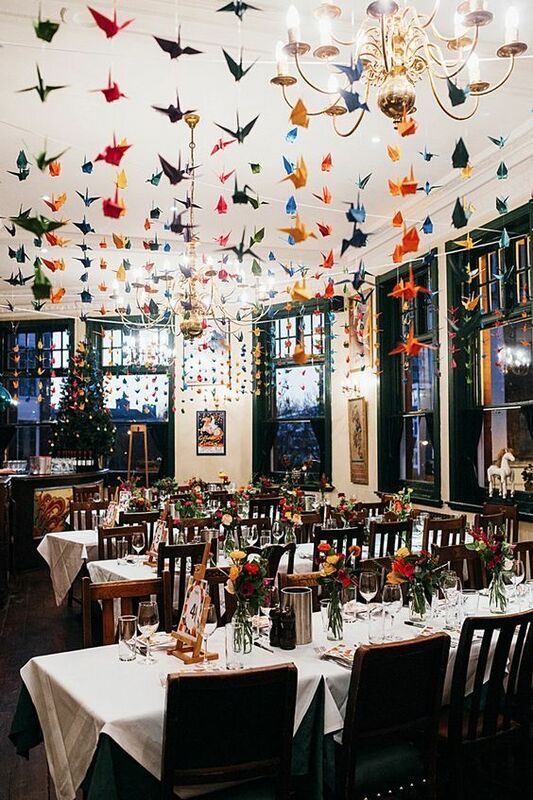 Second, you can make a lot of paper cranes yourself and save your budget on that easily (or ask your family and friends to do that). 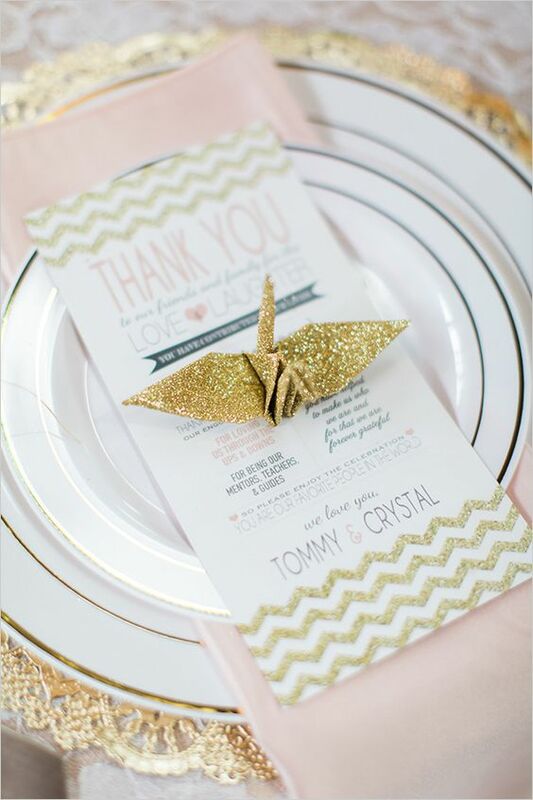 Besides, paper cranes are a symbol of happiness for the young couples, isn’t that what they need? 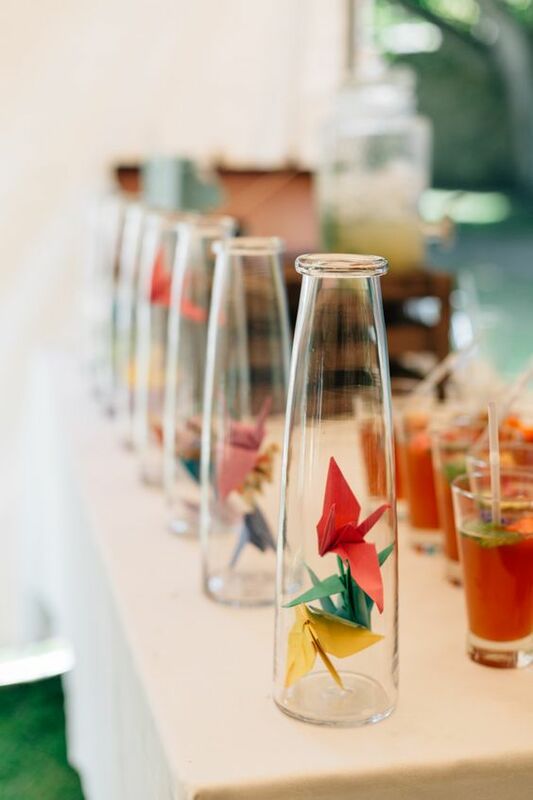 Let’s have a look how to incorporate origami in all kinds and shapes into wedding decor. 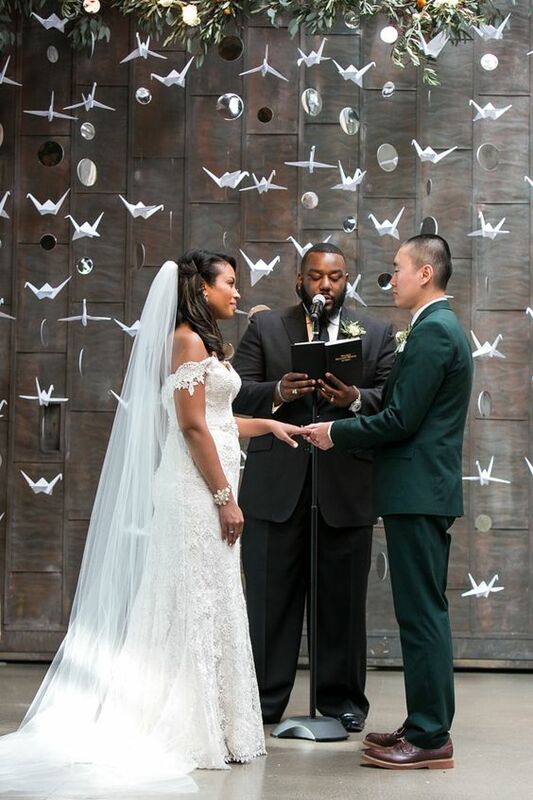 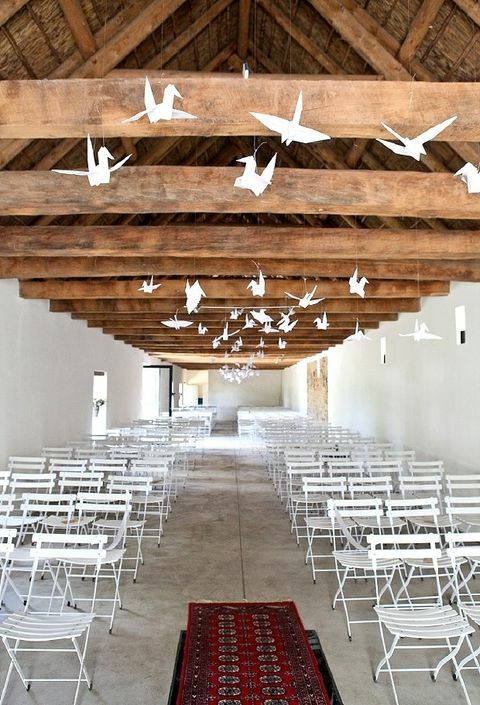 Decorate your wedding ceremony space with cute paper cranes of different looks and sizes! 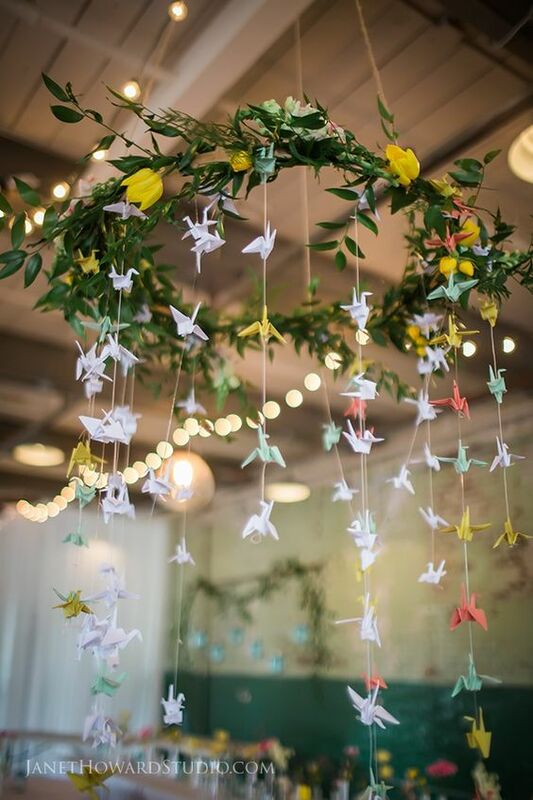 Make as many cranes as you like in the colors that fit your wedding color combo, and decorate your wedding arch with them. 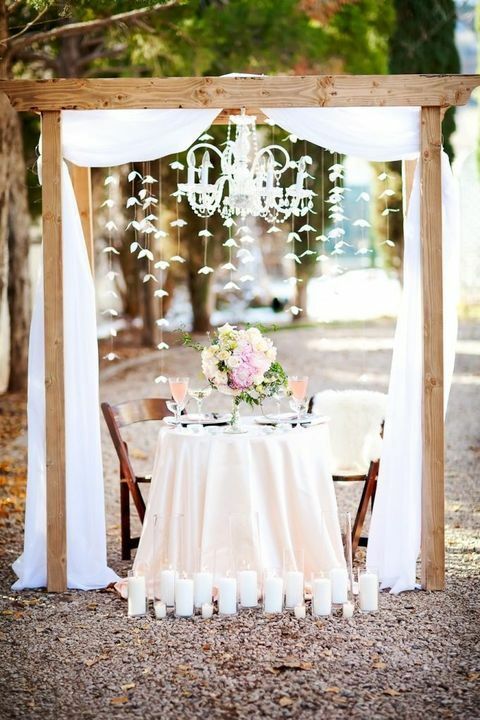 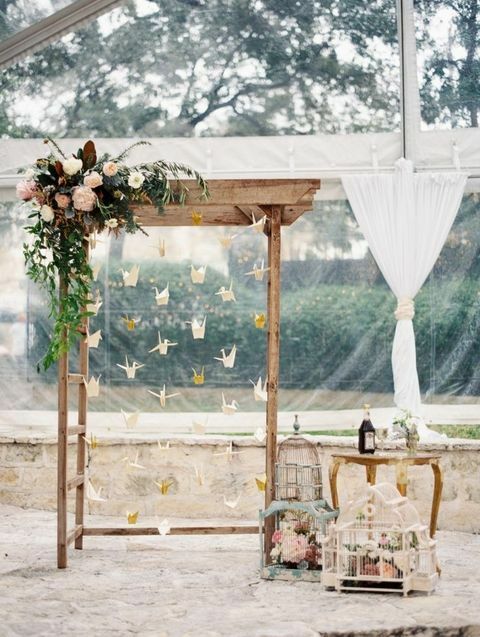 Make garlands of cranes and hang them as a wedding backdrop, or attach the garlands to the wedding arch. 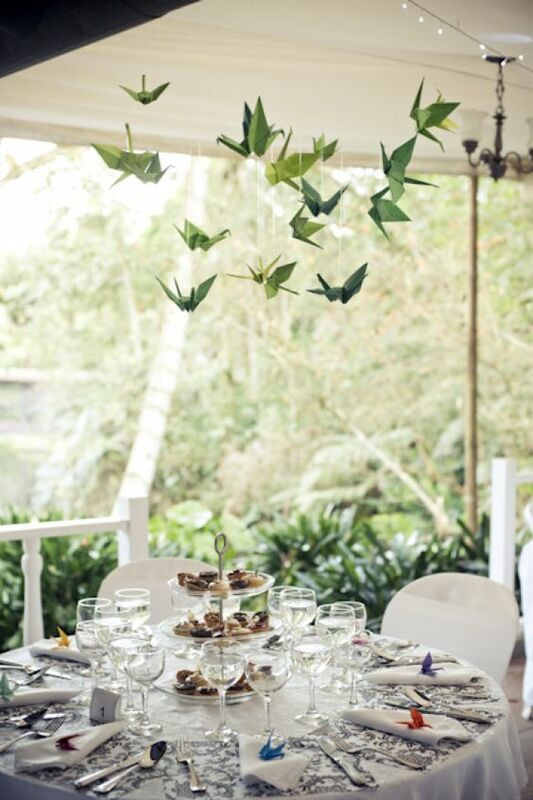 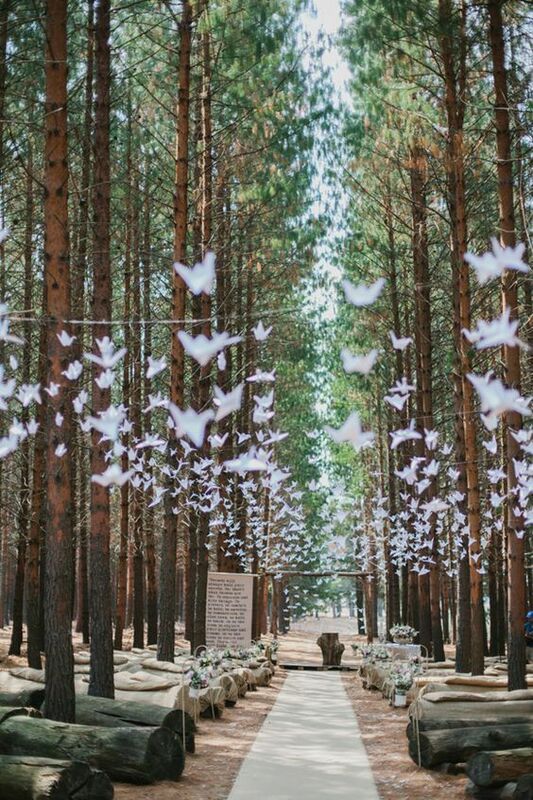 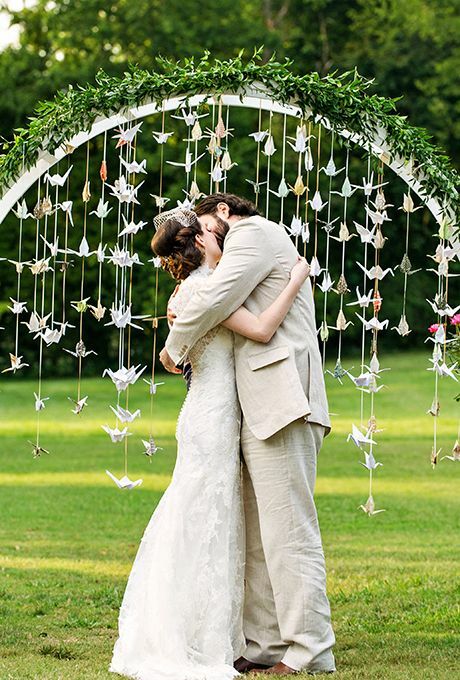 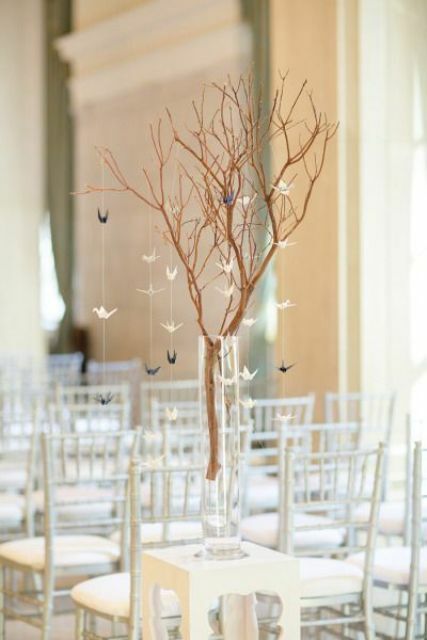 Even if you are getting married outdoors, for example, in the woods, you can hang some paper cranes to the branches to create an airy feeling. 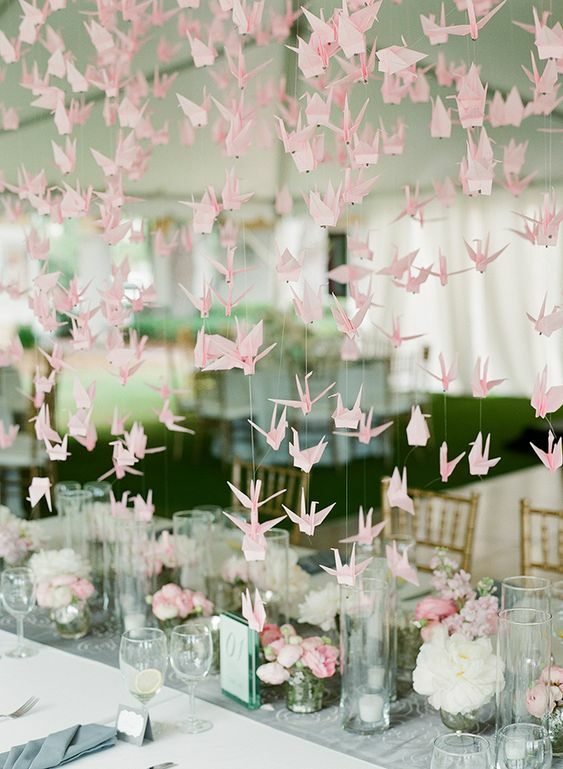 Hang paper cranes over the reception – whether they are in garlands or usual ones, they will add a fun and quirky touch. 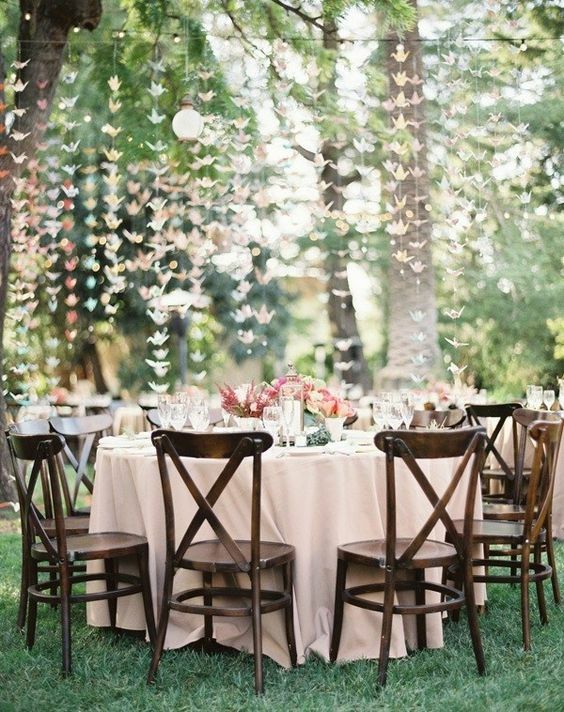 They can be neutral or colorful ones, it depends on the wedding color scheme. 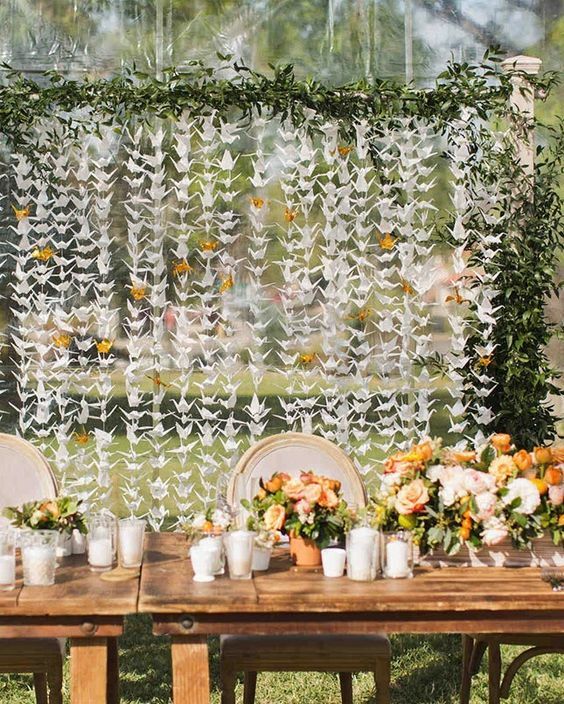 This way you can accent any space – a sweetheart table, reception, a station or bar, a dance floor, or even hang paper crane walls to separate the zones. 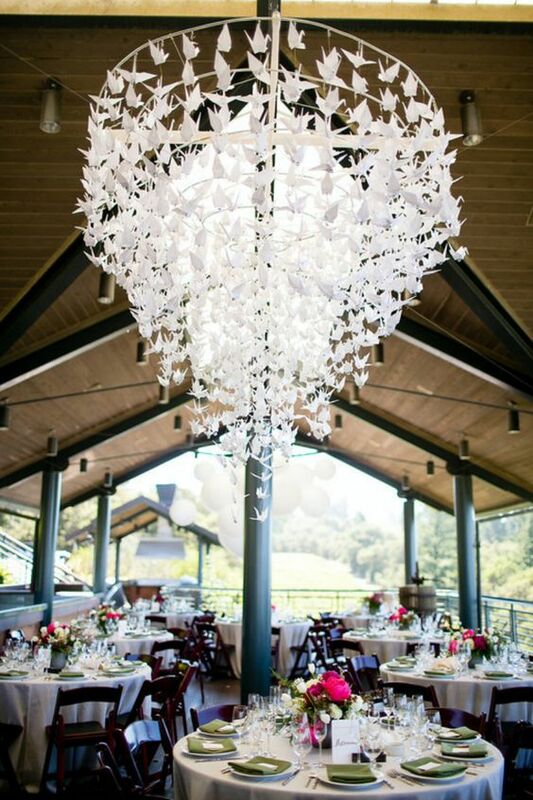 Another cool idea is making origami crane chandeliers, which are even bolder and whimsier. 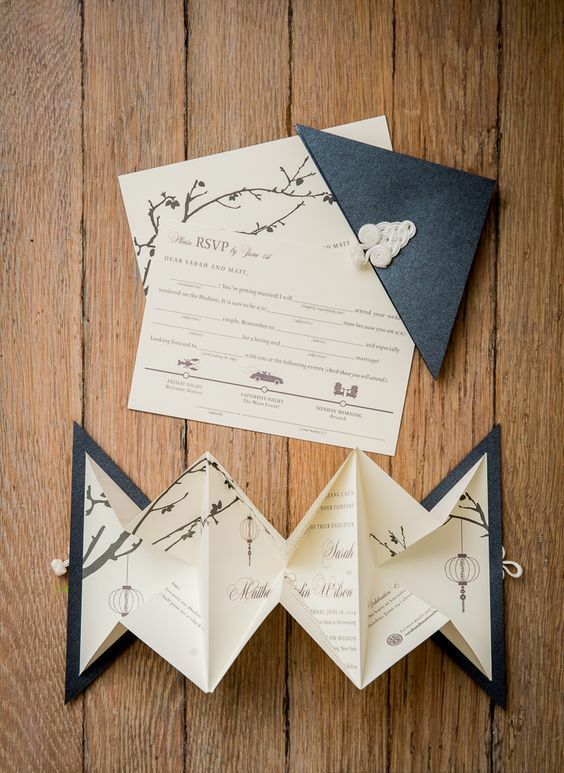 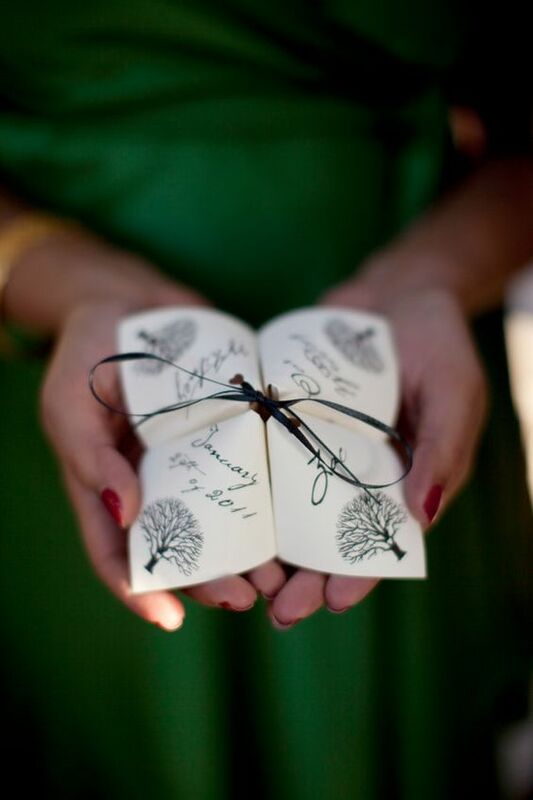 Wedding paper goods can be easily DIYed in origami style – programs, menus, cards, invitations and so on. 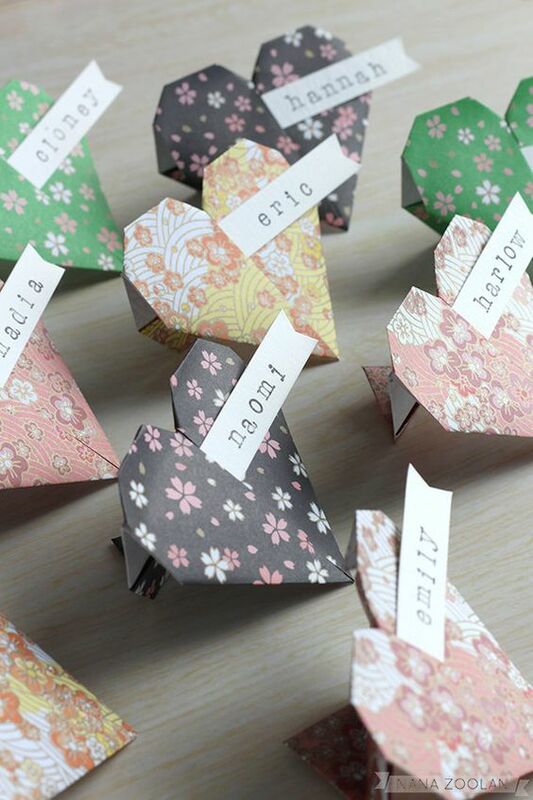 They can be folded in various origami styles and given various shapes and look, this is a very creative and quirky idea. 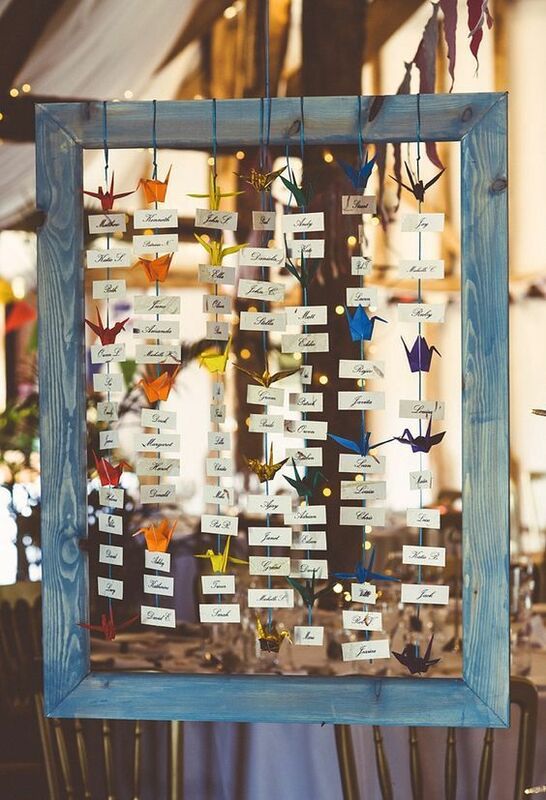 Make a fun seating plan of a wooden frame, cards and some paper cranes – it’s very easy and a good idea to save on the budget. 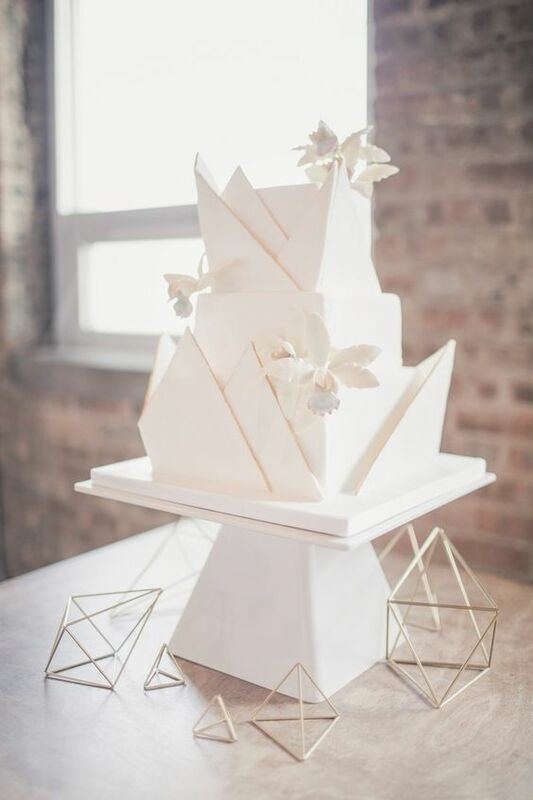 Geometric wedding cakes can be all inspired by origami, they can be just decorated or even textural and sculptural, white or in bold colors, it’s up to you. 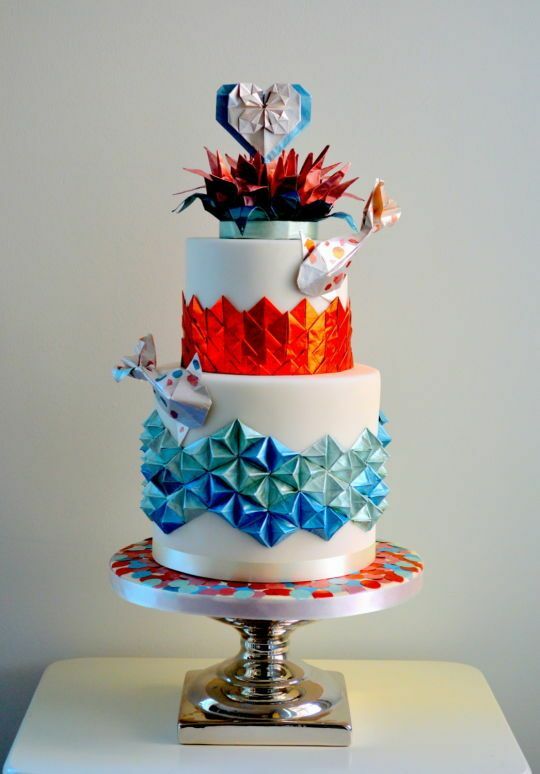 One more cute and simple idea is to top your wedding cake with some paper cranes – no special design is needed! 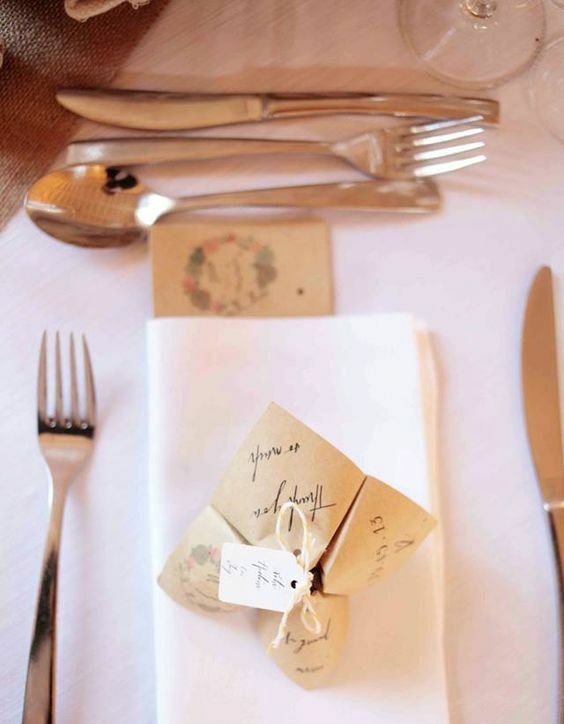 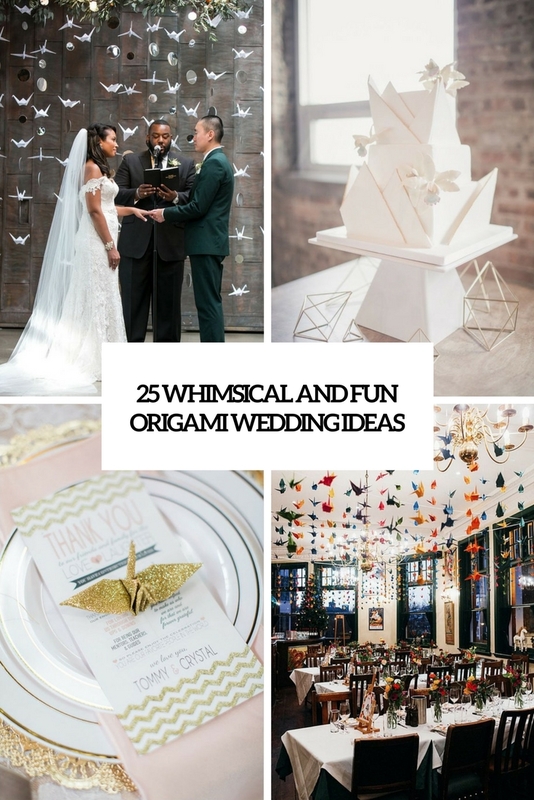 Get inspired by the ideas below and incorporate timeless origami geometry into your wedding!